I wanted to share the Aegean Bronze Age Sword typology chart I put together a few years ago trying to combine the classification systems of N.k. sandars and Imma kilian-Dirlmeier into one graphic. I have also developed charts for each type category. On these charts I have tried to abstract some of the conclusions from N.K. Sandars landmark articles on the subject published in the American Journal of Archeology (AJA). 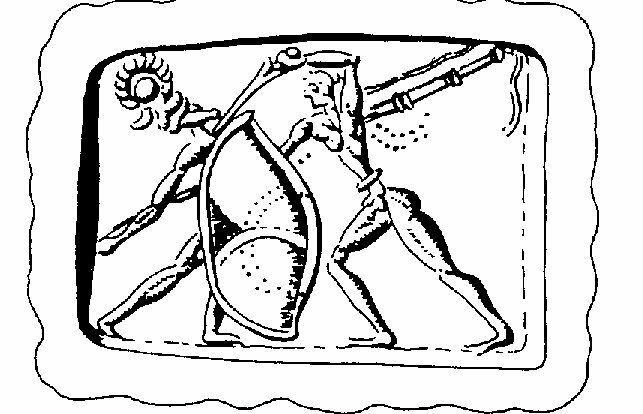 I believe that swords of the Aegean Bronze Age (as with those in the Nordic Bronze Age) are some of the the most beautiful and distinct swords ever discovered. 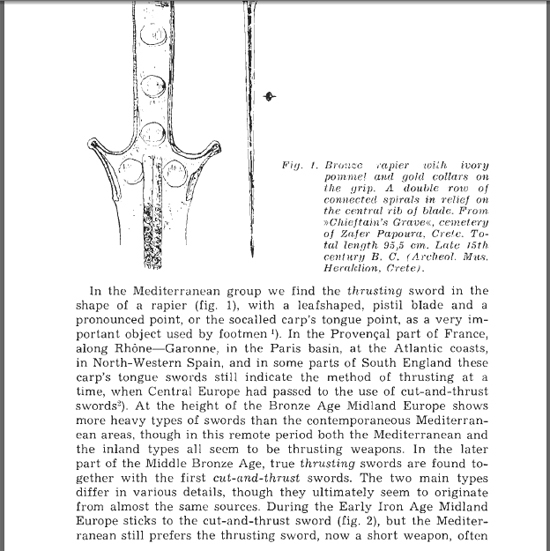 I hope these charts may be of assistance in helping you understand the theories on origins and trends in the development of Aegean Bronze Age swords. Wow - beautiful, wonderful, a great tool. If they haven't already, they should be published in a monograph. Very nicely done. I can see that much thought and consideration went into these layouts. I am unfamiliar with these types of swords, and your charts have sparked an interest! Keep up the great work. That looks like a lot of hard work and effort right there. I'd better get to saving these bad boys at some point. Posted: Mon 14 Dec, 2009 6:47 pm Post subject: Great Stuff!!! This is really excellent work Kirk. Great Job. Very accessible and Interesting. Really nice work Kirk! Thanks! Kirk, it always feels like Christmas day when you post. 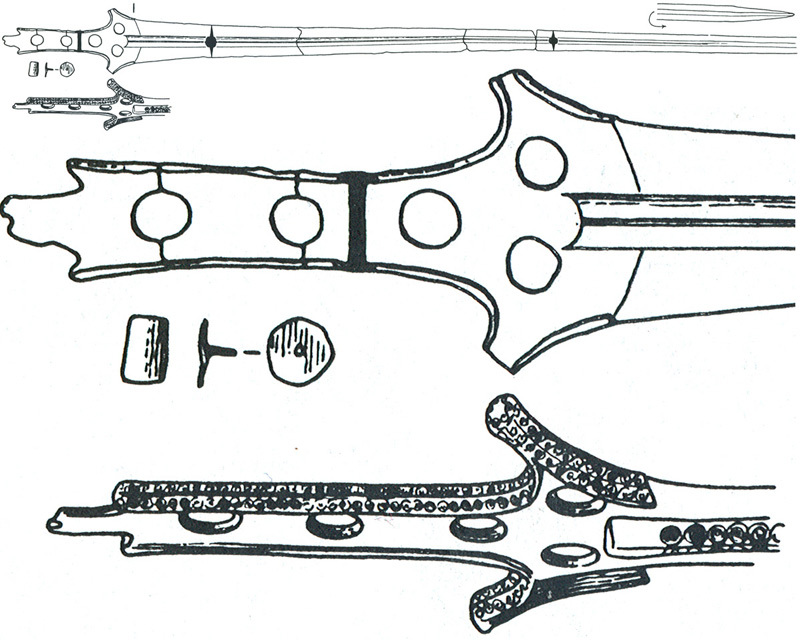 I love clear illustrations almost as much as I like typology charts. Thanks for putting these up. I find this work interesting and rare. Thank you, Kirk, for adding this here. Are you still here in DFW? I have quite a few photos of Bronze Age Aegean swords from various museums I've visited recently (Royal Ontario, Met, Allard Pierson, Onassis, etc.). I'm still in the process of uploading most of them, but next time Tom Carr has one of his "sword parties" remind me to bring my thumbdrives; I'm sure the photos and labels will prove useful to your system. The Pierson especially is an under-appreciated resource, given its very impressive holdings and abundance of weapons, and the overall quality of its displays. 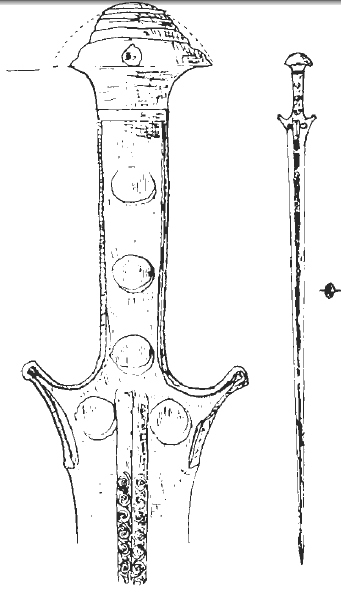 Bronze rapier with ivory, pommel and gold collars on the grip. A double row of connected spirals in relief on the central rib of blade. From "Chieftan's Grave", cemetery of Zafer Papoura, Crete. Late 15th century B. C.
I'll send you a PM and maybe we can meet up. I have a couple more Cervenka's to show you and just about to finish my Mindelheim too. you consider that the book is referenced Hoffmeier, it is 1903. All this time you should be lengthened. kidding Kirk. here my source of information. Your information seems more reliable. is truly incredible ... 116 cm bronze. Without fear these ancient warriors. I don't know, but the cross section *is* thick. I think the source information is fine, we are just looking at two different swords from the same cemetery.